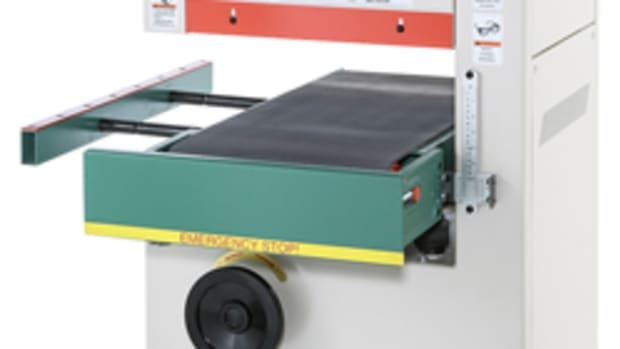 The Supermax 16-32 can sand workpieces up to 32” wide in two passes. 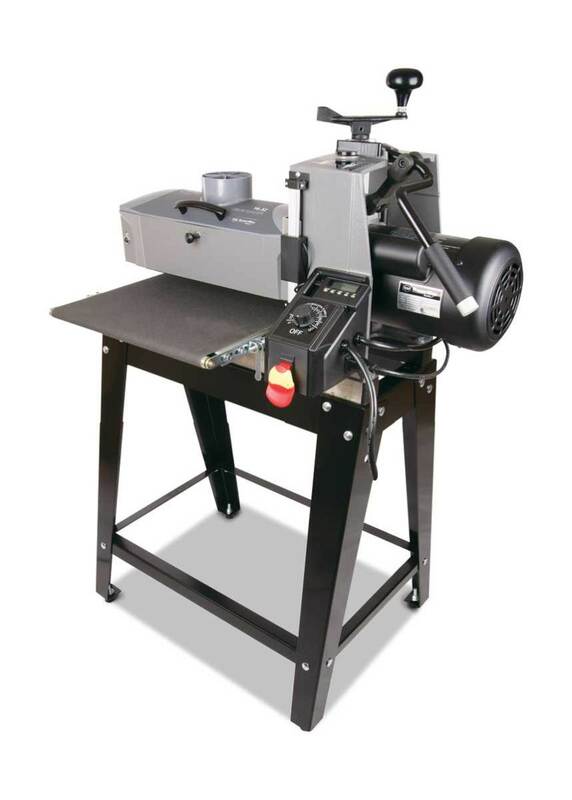 The Supermax 16-32 Drum Sander, model 71632, from Laguna Tools is a versatile and affordable machine designed for a wide range of sanding applications, according to the company. 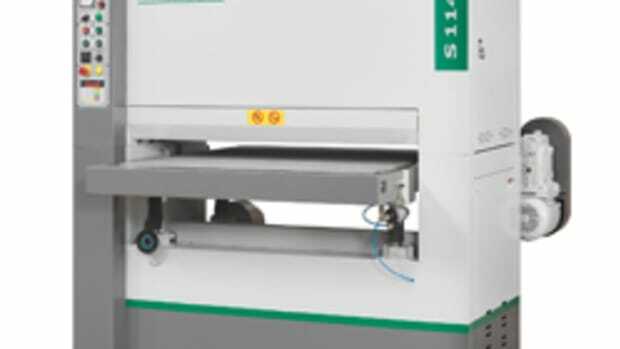 The machine has an open-end design to sand workpieces up to 32” wide by making two separate 16” passes. 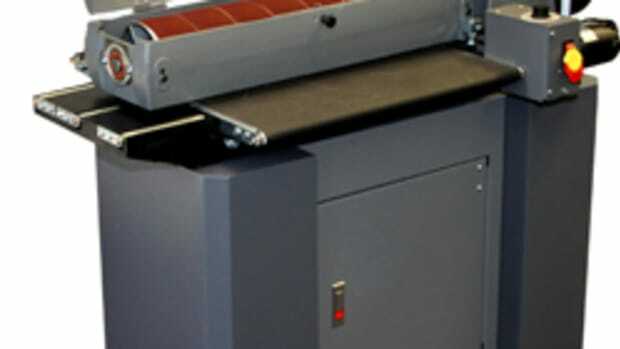 It can handle material 1/32” to 3” thick, starting at a minimum length of 2-1/4”. “It’s a space saver because it can sand double the size of its physical capacity. It’s also at a very good price point so it saves you money, too,” says Laguna’s Benjamin Helshoj. 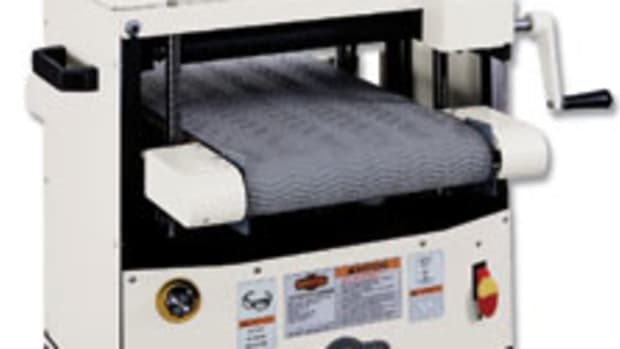 The drum sander features the Intellisand detection system that automatically adjusts conveyor speed based on material load. 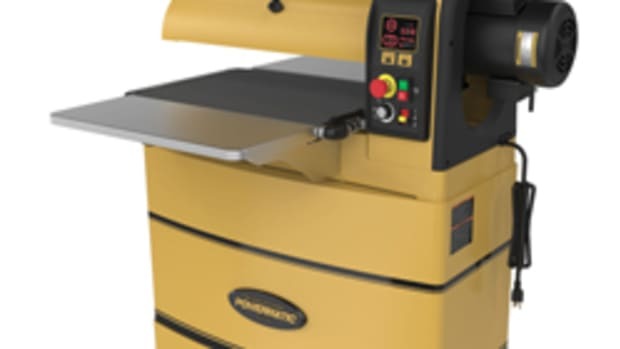 “The Intellisand technology has a sensor that senses if you are starting to draw a lot of amps, and that means you are bogging it down which could burn, gouge or damage the wood. 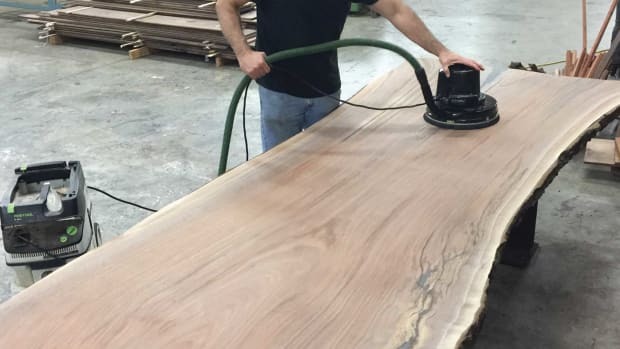 This happens when wood is a little denser or has varying grain pattern,” says Helshoj. There are two motors on the 16-32, a 1-1/2-hp, 14-amp motor that drives the drum, and a 1/20-hp, .45 amp motor that drives the conveyor belt. Additionally, there’s a patented quick height adjustment lever that reduces set-up time compared to using the hand wheel. “Usually, just to go up a half inch, you have to do a lot of cranking and that can take a few minutes. 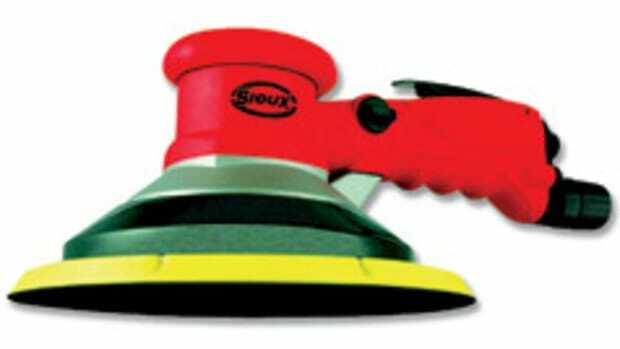 Here, you can adjust the sander on different brackets quickly up and down with one pull of a lever, bypassing the threads on the rods for quick movement,” Helshoj explains. 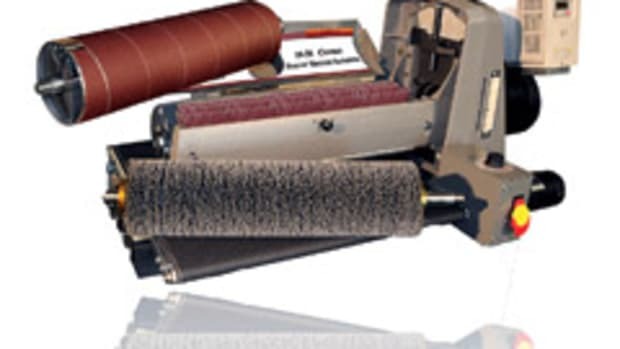 The drum sander sells for $1,199. 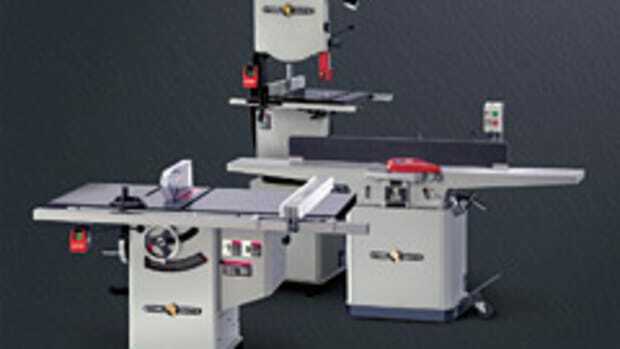 For more, visit www.supermaxtools.com and www.lagunatools.com.